Will Marco Rubio's Doom and Gloom Campaign' Save The Republican Party? 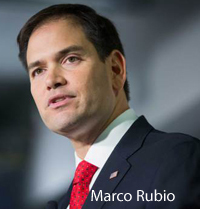 Marco Rubio is the heir apparent of the Republican Party after coming in third in Iowa. He stated that "America would be greater than it has ever been or it would be a great nation in decline" if Hillary Clinton win the election to be president. At what point do we start to call the GOP on the carpet for trying to sell us doom and gloom if we were to turn away from their vision of America? How could it ever be possible for America to fall to oblivion? 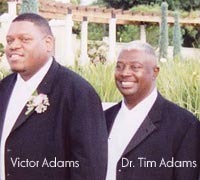 My good friend, Dr. Tim Adams' son, Victor Adams, transitioned this week. I have always been at a lost for words during this type of situation. What do you say when you are trying to comfort your friend and their family when they are experiencing this type of heart ache? 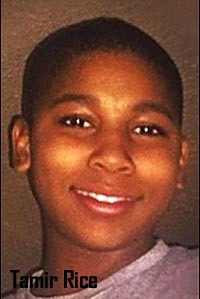 There is nothing on earth that can take away this agony and restore joy. But, there is another source. Knowing The Difference Between A Liberal And A Conservative! As we move forward into the year 2016 we need to prepare ourselves for the vote that is quickly coming up. A part of this preparation is knowing the difference between Liberalism and Conservatism. It is my hope that the following information will help to guide you into making the right decision when voting. 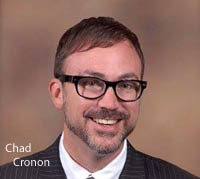 I met Attorney Chad Cronon via a phone call that I placed to him late one evening. At the time, I was the leader of a support team for the Regina Hill candidacy for Orlando City Commissioner District 5 and we needed an attorney to file and injunction against Juan Lynum. Retirement is normally seen as an opportunity to hang up one's shoes and start smell the roses. The truth is retirement is the opportunity for an individuals to recreate themselves. They no longer have to worry about the basics because they have laid the foundation for creating a second career. Now it is time to search one's soul and focus on what will create the most happiness in one's life.